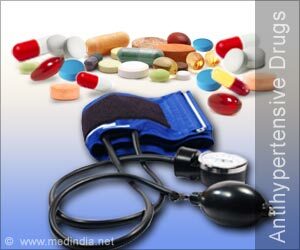 Why do I need medicines to treat high blood pressure? — Having high blood pressure puts you at risk for heart attack, stroke, kidney damage, and other serious problems. The medicines your doctor prescribes to treat high blood pressure can help reduce the risk of these problems and even help you live longer. It’s very important that you take your blood pressure medicines every day as directed. High blood pressure doesn’t usually cause symptoms, so people sometimes don’t take it seriously. Plus, blood pressure medicines can cause side effects and be expensive, so it’s easy to understand why people don’t like to take them. But if you are tempted to skip your medicines, remember, they can save your life! If your medicines cause unpleasant side effects, or if you can’t afford your medicines, talk to your doctor. There are often ways to deal with these problems. The first step is to let your doctor know. Which medicines might I need? — There are lots of different medicines to treat high blood pressure. But some of the medicines have other health benefits besides lowering blood pressure. Your doctor might need to change your medicine or its dose a couple of times to find the medicine and dose that work best and cause the fewest side effects. Plus, you might need to take more than 1 medicine to get your blood pressure under control. Whatever your doctor prescribes, it’s important to take your medicines exactly as prescribed (table 1). But always let your doctor know if you have any problems with the medicines. That way he or she can make changes so that you are as comfortable as possible and also get the most benefit. Never stop or make changes to the way you take your medicines without talking to your doctor or nurse first. This article has only some basic information on these medicines. For more detailed information about your medicines, ask your doctor for the patient hand-out from Lexicomp, available through UpToDate. It explains how to use each medicine, describes its possible side effects, and lists other medicines or foods that can affect how it works. Diuretics — Diuretics are sometimes called “water pills,” because they make you urinate more than usual. Some examples of diuretics include chlorthalidone, indapamide, hydrochlorothiazide (also known as HCTZ), and furosemide (brand name: Lasix). ACE inhibitors and ARBs — ACE inhibitors and ARBs are often grouped together, because they work in similar ways. These medicines can help prevent kidney disease. Doctors often prescribe them for people with diabetes, because people with diabetes have a higher-than-average risk of kidney disease. Some examples of ACE inhibitors include enalapril, captopril, and lisinopril. Some examples of ARBs include candesartan (brand name: Atacand) and valsartan (brand name: Diovan). Calcium channel blockers — Some examples of calcium channel blockers include amlodipine (brand name: Norvasc), felodipine (brand name: Plendil), and diltiazem (brand name: Cardizem). These medicines also help prevent chest pain caused by heart disease. Beta blockers — Besides lowering blood pressure, beta blockers help reduce the amount of work the heart has to do. Studies show that people who take a beta blocker after a heart attack are less likely to have another heart attack or die than people who don’t take a beta blocker. Studies also show that people with heart failure who take beta blockers live longer than people with heart failure who don’t. When people first start taking beta-blockers, they sometimes feel tired. That is just while the body gets used to the medicine. But once the body gets used to beta blockers, the medicines can really help. If your doctor prescribes a beta blocker, give it a little time to start working. Some examples of beta blockers include atenolol (brand name: Tenormin), metoprolol (brand names: Lopressor, Toprol-XL), and propranolol (brand name: Inderal LA).